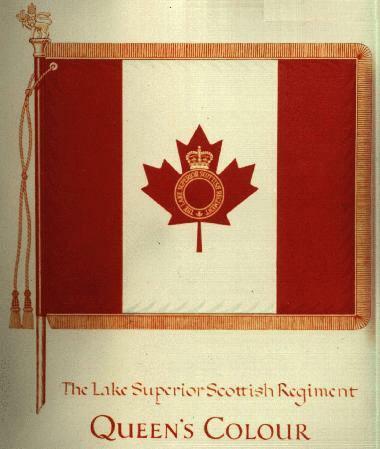 A maple leaf charged with a beaver, encircled by an annulus, inscribed THE LAKE SUPERIOR SCOTTISH REGIMENT and surmounted by the Crown; below a scroll inscribed INTER PERICULA INTREPIDI; on each side of the annulus, six maple leaves. The Regiment was raised 30 Apr 1885 and designated The Provisional Battalion of Rifles at Port Arthur, Ontario. It was redesignated the 96th District of Algoma Battalion of Rifles 29 Apr 1887. 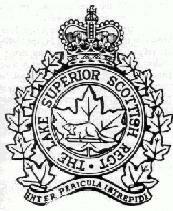 On 3 Jul 1904 is was renamed the 96th Lake Superior Regiment and redesignated The Lake Superior Regiment 15 Mar 1920. 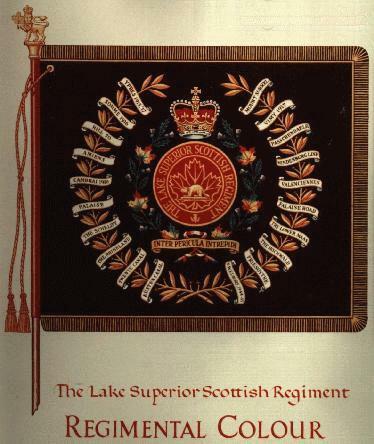 26 Jan 1943 it became The Lake Superior Regiment (Motor) and on 29 Jun 1949 it was granted approval to become "Scottish", being called The Lake Superior Scottish Regiment (Motor), and 11 Apr 1958 it adopted its present title, The Lake Superior Scottish Regiment. During World War I it sent drafts of over 400 soldiers each to the 8th and 28th Battalions, CEF, raised the 52nd, 94th, and 141st Battalions, the latter two being reinforcement Battalions for "The Fighting 52nd". Visit the LSSR Kit Shop. 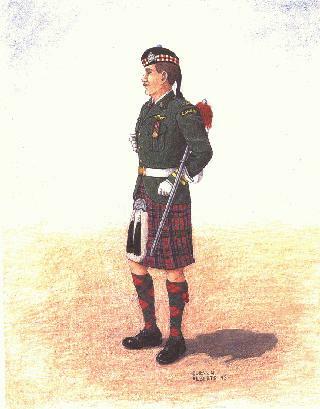 Learn about The Lake Superior Scottish Regiment Association. Visit The LSSR page on the Thunder Bay Museum website.